There are no photos with those IDs or post 15846 does not have any attached images! 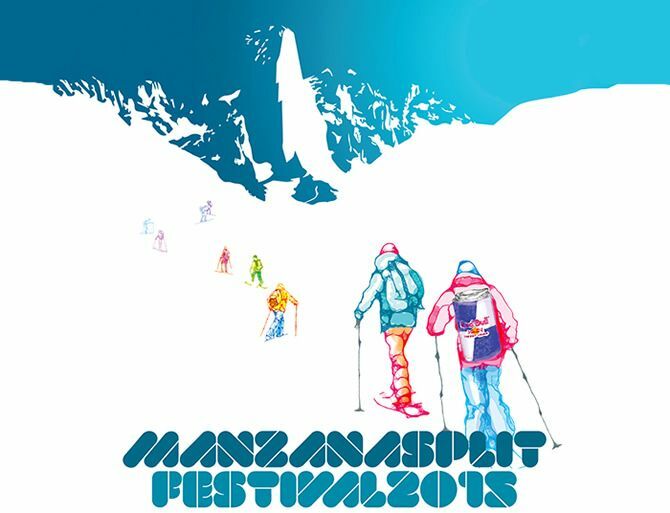 Sotres will be the headquarters of ManzanaS.F 2015 in its third edition, 13, 14 and 15 days for February. The ManzanaS.F. tries to consolidate as a benchmark festival of splitboard in Spain and aims to gather fans of this new discipline across the country for a weekend, promoting this new activity. • Friday 13 of February evening-night: reception of participants, lodging situation, start of delivery of numbers and projection of videos of splitboard (Casa Cipriano). • Saturday 14 of February morning: concentration, distribution of numbers, delivery of isotonic drinks and energy meals. Start of the first route. Test of splitboards and baptism. • Saturday 14 of February afternoon: talk about basic and fundamental knowledge of mountain weather. Talk about knowledge and skills that a splitboarder should have. Sale of tickets for espicha. • Saturday 14 of February night: espicha asturiana / party-raffle of the gifts of the sponsors. • Sunday 15 of February tomorrow: delivery of isotonic drinks and energy meals. Start of the second free route. • Sunday 15 of February afternoon: collection, farewell and closing of the event. Baptism route Splitboard: circuit determined by the organization based on snow and weather. First route: depending on the snow conditions, we will depart from Sotres or the Jitu Escarandi towards the Casetón de Andara. These routes will be carried out if weather conditions permit, otherwise alternative activities will be sought. The registration fee for federated members is 31,80 € and includes: the right to participate in the routes, tests, raffles and talks, as well as a bag with commemorative souvenirs. For non-federated the price is 53 € and in addition to the above includes the mandatory two-day mountain insurance. The accommodation and the espicha are not included. We remind you that it is essential to be federated in order to register for the event, presenting the corresponding accreditation.